I want to take a moment to consider the conspicuous return recently of the so-called hexagon "trend." We first wrote about this phenomenon in a fairly forgettable post from 2010, but in the past year or so it seems to have resurfaced, more forcefully and more explicitly than ever, and we would be remiss in our obligations to the hexagonal community if we did not at least make note of it. I don't really feel like carrying on with any sort of extended commentary on the matter this time—the trend speaks for itself, and its merits should be obvious to even the most casual adherent to hexagonal principles. It will suffice, therefore, to simply compile a list of recent articles on the subject, and let the reader draw what conclusions they will from them. Though it should be understood of course that we don't see this as a "trend" so much as a central—indeed, perhaps the central—turning point in the entire enterprise of human civilization. 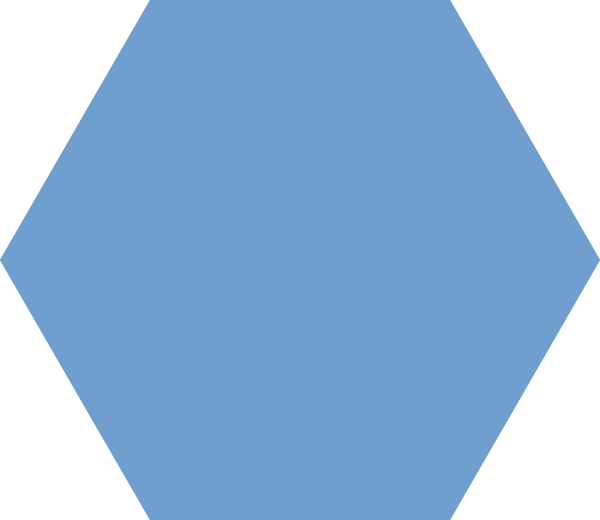 Our proverbial children and grandchildren, looking back on this era, will not be asking about the time hexagons were "trending," they will be asking about the time hexagons, as a concept, were finally rising above the clutter and minutiae of the collective human memescape to turn the very course of human civilization, putting us on our inevitable path towards a glorious and unimaginable hexagonal destiny. 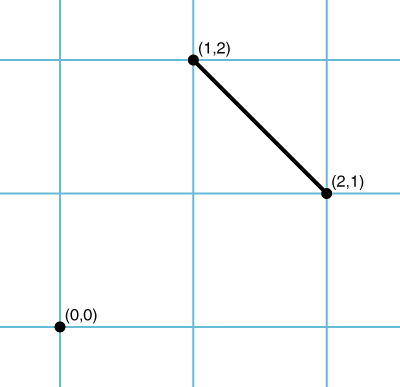 We seem to have fallen a bit behind in terms of keeping this site updated with RELEVANT MATHEMATICAL INFORMATION about hexagons. This is a deficit we're looking to correct as soon as possible. First up, let us consider the permutohedra. We at HEXNET.ORG have been meaning to write something about permutohedra for a couple of years now, but have never really found a good opportunity to so. WE WILL NOT EXPEND GREAT EFFORT DOING SO NOW. It will suffice to merely describe the concept in conjunction with some helpful imagery, which will hopefully serve as a useful foundation for further geometrical observations and investigations in the near future. 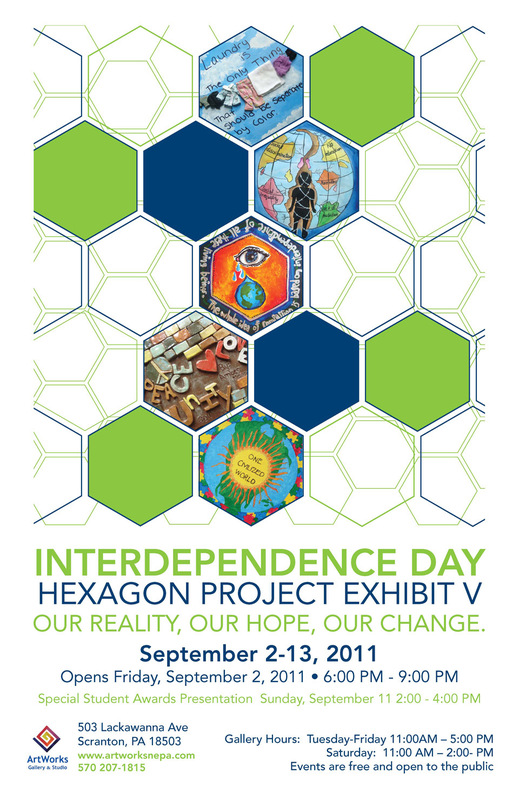 Today would be a good day I think to take a break from not-updating this site to remind everyone that this year's Hexagon Project at Interdependence Day Scranton is currently underway. I hadn't been planning on writing another post about it this year, but of late I received this lovely promotional poster, which I thought at least worth relaying to the wider hexagonal community. In commemoration of this year's festivities, I have also added to the Hexagonal Library a PDF of a presentation by Hexagon Day organizer Beth Burkhauser to the National Art Education Conference, "Global Interdependence and Art Education: Where Hexagons Make the Connection." More musings on the project can also be found in last year's blog post on the subject. 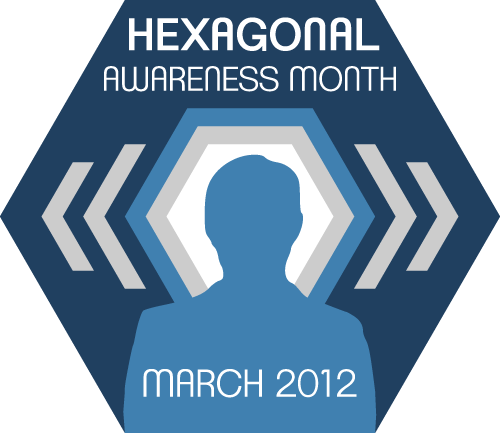 In general of course HEXNET.ORG supports all efforts to relate the civic virtues of hexagons to their more familiar geometric ones, as both are clearly manifestations of the same unified underlying reality.